The number of alcohol-related hospital admissions in the UK have remained broadly stable between 2016/17 and 2017/18 and although they are higher than a decade ago, as a proportion of overall admissions they are a little lower than in 2007. The number of people admitted to hospital for a cause directly related to alcohol was 338,000 in 2017/18 said the report compiled by the Office of National Statistics and National Health Service. This was broadly stable with the previous year and although 15% higher than 10 years ago, overall alcohol-related admissions have not changed much in a decade either; being 2.1% of overall admissions in 2017/18 and 2.3% in 2007/08. This is based on the narrow measure which covers all admissions where an alcohol-related disease, injury or condition was the primary cause for admission or there had been an alcohol-related external cause. If one took the broadest possible measure for alcohol admissions (where alcohol might be a contributing cause to a condition but not the primary one) then the figure would be 1.2 million admissions. In terms of deaths directly caused by alcohol in 2017 the number was 5,800, up 6% from 2016 and 16% higher than in 2007, with 80% of those deaths being from alcohol-related liver disease. The number of people treated for problematic drinking in 2017/18 was 76,000, 6% lower than 2016/17 although the reasons for this weren’t clear. In terms of the broader demographics, 21% of people aged 16 and over drank more than 14 units a week in 2017. Adults in higher income households were also more likely to exceed the guidelines but alcohol specific death remained higher in more deprived areas where there were 30.1 deaths per 100,000 for men and 13.5 for women. Predictably, articles in the Independent and Guardian this morning (6 February) have seized on the report and offered up headlines such as “Deaths caused by alcohol reach record high” (Independent) and “One in five drinking too much alcohol” (Guardian front page). “The alcohol-specific age-standardised death rates per 100,000 population were 15.0 for males in 2017 which is over twice the rate for females (7.4). Yet this would detract from the drama of the headline. As for the Guardian, it is true that one in five is drinking above the recommended 14 units a week but this ignores the fact that a) four fifths apparently are not and b) the evidence that drinking more than 14 units a week (to a point) is actually harmful to you is not based in solid scientific fact. As has been pointed out elsewhere, taking the figures at face value is also not helpful. To begin with, the population of the UK has increased substantially since 2007 – so there are more people who might be admitted for an alcohol-related disease or injury and this is also a reason why alcohol-related admissions may have risen but their proportion of overall admissions is about the same as a decade ago. Furthermore, it is a well established fact that drinking levels are declining currently with the current 20-30 year olds drinking at much lower levels than previous generations, somewhere between 15-20% less in fact. Yet admissions for alcohol-related diseases are up. How is this explained? The report made clear that on the narrow measure, 69% of hospital admissions were aged over 45. 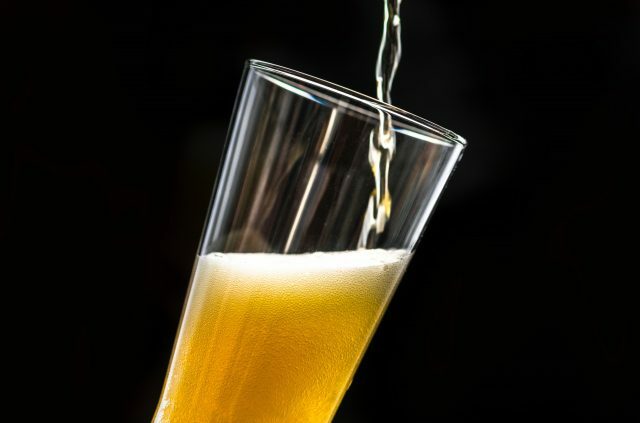 It has long been stated that the rise in alcohol-related hospital admissions in recent years is a symptom of an ageing population that drank at much higher levels now reaping the consequences. This is also the demographic who are more likely to drink over 14 units a week. The rise in alcohol-related admissions may yet rise further but if the decline in drinking among the under-40s continues then, presumably, admissions must peak eventually and then will decline. John Timothy Chief Executive of the Portman Group, said: “These figures once again show us that the vast majority of people in England are drinking at or within very low risk levels. This is positive trend and one that demonstrates increased awareness of the benefits of moderation and responsible drinking. Just 4% of people are higher risk drinkers – and it’s among this group that we need to target our efforts to reduce harm. A Department of Health and Social Care spokesperson said: “Robust government action has led to a fall in alcohol consumption in recent years – but we remain committed to tackling alcohol-related harms through taxation, pricing and protecting the innocent victims of addiction such as children of alcoholics.